MEXICO CITY — Intermittently emerging from boardrooms here at the Camino Real hotel several times a day, negotiators tasked with reaching a deal on the North American Free Trade Agreement attempted to evade hordes of TV news crews throughout the week. Movements were so quick and random that, at times, camera crews had to sprint toward negotiators when alerted of a break, with so much gear in tow that it appeared to swallow the subjects. Negotiators occasionally departed for the day. Other times, they were moving to other meetings in “cuarto junto,” or the room next door, as the Mexican private sector refers to some of those meetings. Despite the suffocating press scrums while in transit, negotiators often said nothing to the cameras before security escorted them to another section of the hotel. This routine repeated itself over the course of the week, with television crews posting up strategically around the lobby, stalking for slivers of quotes and information from the private talks. 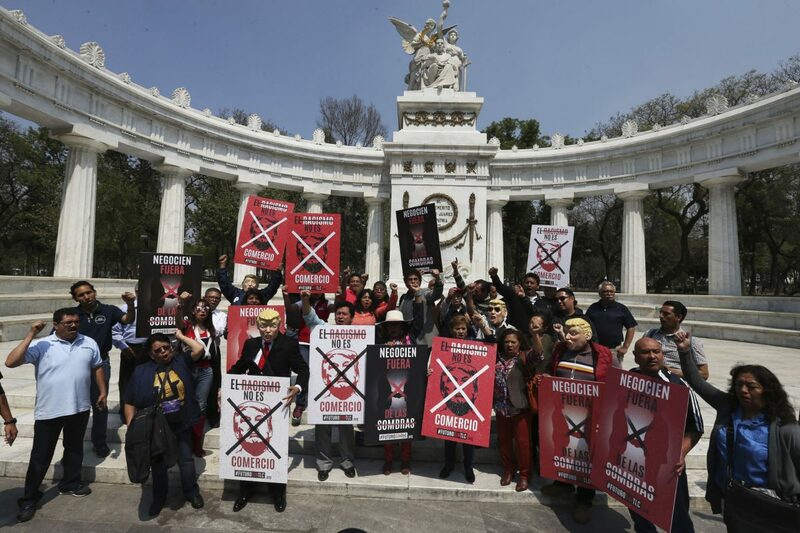 Greenpeace and other activists, wearing Donald Trump masks and carrying signs that read in Spanish "Racism is not commerce," protest against the seventh round of the North American Free Trade Agreement, NAFTA, renegotiations, in front of the Benito Juarez Monument in Mexico City, Tuesday, Feb. 27, 2018. The latest NAFTA renegotiation meetings between Mexico, Canada and the United States started on Sunday Feb. 25 in Mexico City. Meanwhile, President Donald Trump, turning his attention to trade tariffs, has tempered his tone on NAFTA, which he’s called one of the worst trade agreements ever written — the same agreement that helped transform the Rio Grande Valley’s economy. 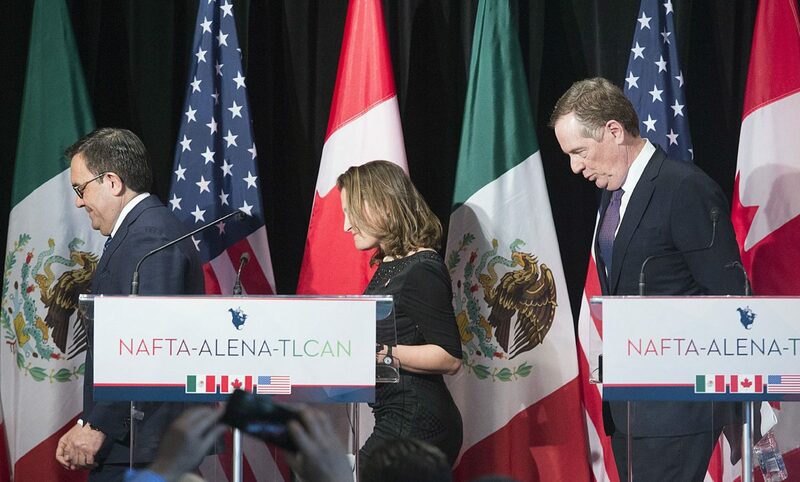 American, Canadian and Mexican negotiating teams have had similar setups throughout the NAFTA rounds, with the seventh stage of the renegotiation continuing in Mexico City after rotating rounds in the three capital cities since last August. Officials have said an eighth round is likely in Washington toward the end of this month. The three governments negotiate in private while select members from the private sectors of each country are nearby for briefings and consultation. Briefings between the Mexican government and its private sector tend to be fairly detailed, talking in-depth about that day’s topics, according to people involved. The U.S. government and its private sector, meanwhile, tend to be fairly surface level, not getting especially extensive during their briefings. Those in the U.S. private sector are encouraged by the government to keep much of the information to themselves, they said. Therefore, much of the negotiating information, and progress, typically doesn’t make its way to U.S. lawmakers and trade stakeholders, which they’ve said is frustrating. Cuellar’s bipartisan partner on many trade issues is often U.S. Sen. John Cornyn, R-Texas. “It would be a mistake not to keep the Congress apprised,” said Cornyn, who acknowledged he’s had some trade-related meetings at the White House, but not since mid-February. U.S. trade stakeholders view it similarly, some even asking members of the news media what’s happening. Trade attorneys said the American business community is often out of the loop, which makes it difficult for businesses to plan as NAFTA’s impact on the country is significant. Mexicans, meanwhile, don’t seem to have problems with their negotiating consultation. “After they meet with Canadian and U.S. negotiators, they come back to us, review positions, give impact on the industry, go back and forth,” said Sergio Gómez Lora, CEO of IQOM, an international trade consultancy firm in Mexico City advising the Mexican private sector throughout the negotiations. Rafael Delgado, an international trade expert with Grupo Maerker, a trade consultant group, was heavily involved with the private sector of the original NAFTA negotiation. He said governments use private sector consultation differently, but it’s important to be in contact with trade stakeholders. Jaime Serra Puche concurred. He would know, since he was Mexico’s commerce secretary presiding over the negotiations when NAFTA was originally signed. 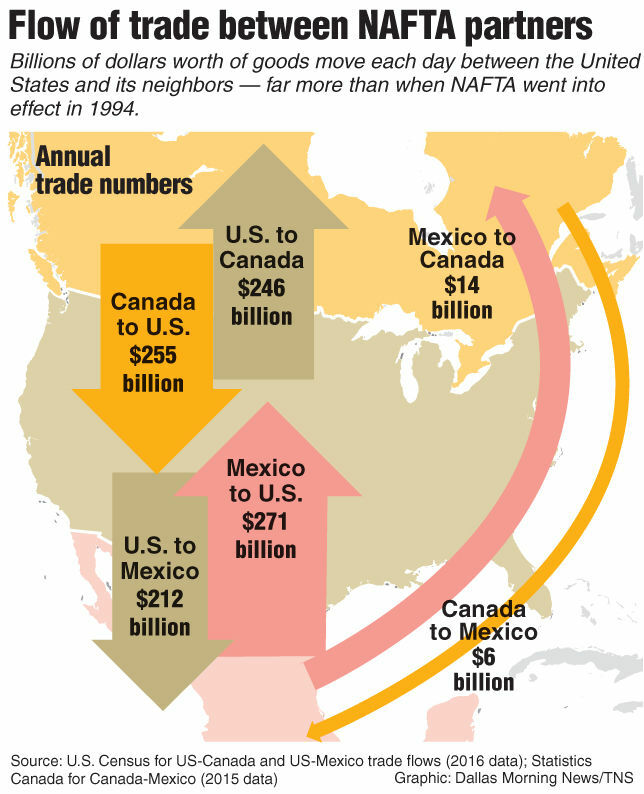 In the U.S. Congress, NAFTA’s responsibility falls under the Finance Committee on the Senate side and Ways and Means Committee in the House. Kevin Brady, R-The Woodlands, chairs Ways and Means. He was scheduled to be here this weekend to meet with people involved with the talks. Beyond casual talks with Brady since Trump notified Congress of his intention to renegotiate, Cuellar hasn’t received much information from the Trump Administration. U.S. Rep. Filemon Vela, D-Brownsville, has also been kept mostly in the dark on the renegotiations. Cuellar said when the Trans Pacific Partnership was being negotiated, President Barack Obama’s administration would regularly provide Congress with updates. As talks conclude Monday and the three country’s cabinet members presiding over the negotiations meet, Congress and stakeholders will look for more information.